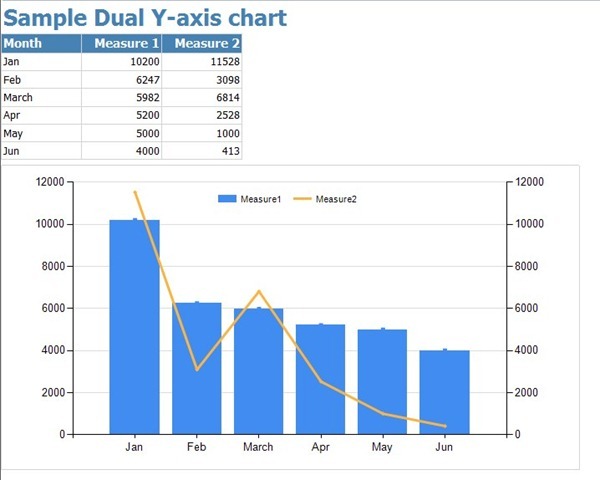 In this post I will show you how to create a simple report with dual Y-axis column chart. It is a very common requirement in reports and to be honest – quite difficult to find out how. I’ve been struggling for a while to get to the desired result. First let me share what kind of data I prepared for my demo and what will be the end result. 1. The data – it as a simple dataset with three columns – one for month and two for measures. So how to do it? Of course First you create a new report and enter the dataset. 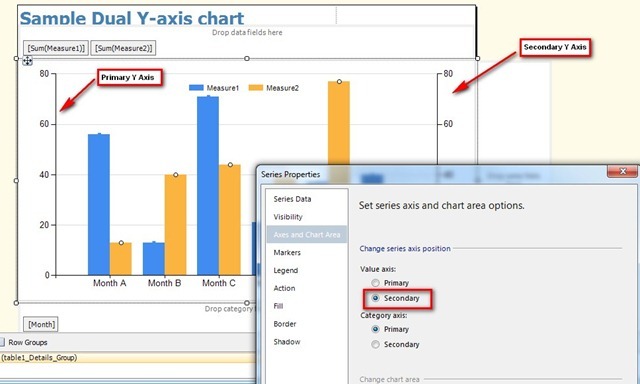 3) After adding the secondary axis, again select the second series (yellow ones), right-click on it and go to Change Chart Type. 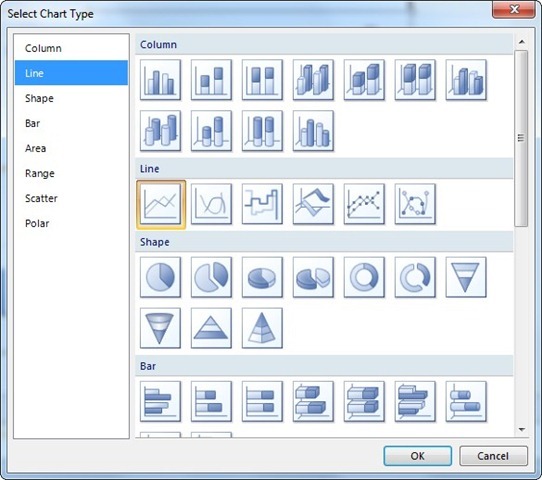 Then select some of the line chart templates and hit OK button. I am using the first and the simplest one. 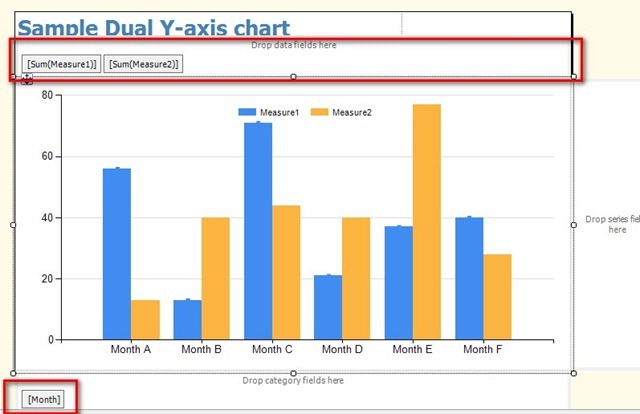 And that is how you can create a dual Y-Axis column chart which can help you in better visualization of certain data. Of course till getting the report done for end-user running, you can add some labels, include Markers and Data Labels for better reading. But it is up to you and your organization’s requirements how functional and “colorful” a report to be. Thanks for article man. You made my report better! Can the secondary axis have a different range?